In October 2005, the International Institute for Secular Humanistic Judaism invited Israel Finkelstein and Amihai Mazar to speak on the historicity of ancient Israel. 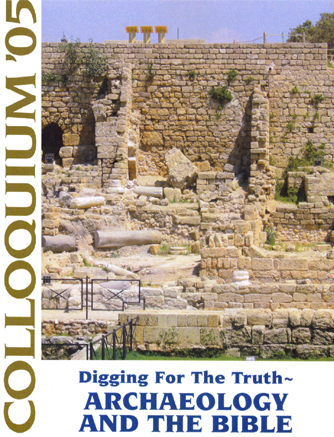 The proceedings of Colloquium ’05 were published by the Society of Biblical Literature as The Quest for the Historical Israel: Debating Archaeology and the History of Early Israel. Videos of the lectures have now been made available on YouTube. Colloquium Panel Response: When Did the Jewish People Begin? Israel Finkelstein – Jacob M. Alkow Chair in the Archaeology of Israel in the Bronze and Iron Ages at Tel Aviv University, author of The Bible Unearthed: Archaeology’s New Vision of Ancient Israel and the Origin of its Sacred Texts. Amihai Mazar – Eleazar Sukenic Chair in the Archaeology of Israel ad Hebrew University in Jerusalem. Author ofArchaeology and the Land of the Bible. Brian Schmidt (moderator) – Professor of Near Eastern Studies at the University of Michigan. Author of Israel’s Beneficent Dead. Harry Cook (panel) – Episcopal minister and journalist, former columnist for the Detroit Free Press, author of Christianity Beyond Creeds and Sermons of a Devoted Heretic. Yaakov Malkin (panel) – Professor of aesthetics and rhetoric at Tel Aviv University, author of many works including Judaism Without God – Judaism as Culture, The Bible as Literature. Paula McNutt (panel) – Professor of Religious Studies and Dean of Arts and Sciences at Canisius College in Buffalo, NY. Rabbi Sherwin Wine (panel) – founding rabbi of the Birmingham Temple and Humanistic Judaism, author of Judaism Beyond God and Staying Sane in a Crazy World. John J. Collins delivers the Presidential Address at the 2002 AAR/SBL Annual Meeting, entitled “The Zeal of Phinehas: The Bible and the Legitimation of Violence”, available as a real audio file. The Address was delivered at the first AAR/SBL Annual Meeting following 9/11. The Address was later published as John J. Collins, “The Zeal of Phinehas: The Bible and the Legitimation of Violence“, Journal of Biblical Literature 122, no. 1 (Spring 2003): 3-21 (subscription required).